So this is what the latest episode of Brexit has come down to - who do you least want to offend, the viewers of Strictly Come Dancing or I'm a Celebrity, Get Me Out Of Here? Theresa May is concerned most with Strictly viewers and so wants to have a debate on the BBC without an audience, but with the participation of a number of interested parties. Jeremy Corbyn favours ITV's formula of a simple head-to-head with the prime minister in front of a studio audience. Why they want a debate at all is a mystery. The viewers - the great British public - will not have a say on whether the deal Mrs May brought back from Europe is accepted or not. That is down to the House of Commons, and it is pretty clear which way its members are inclined at present. The Tories are split, though thanks to Jacob Rees-Mogg's bluff being called, not as badly against the prime minister as she had feared, though she has lost her DUP lifeline. And she does seem to be making life unnecessarily difficult for herself by refusing to let the MPs who will be voting on the issue see the legal advice she has obtained on the deal, giving even more of them a reason to vote against her. The Labour Party feels bound to oppose the deal on principle, though what they actually stand for is less clear. Jeremy Corbyn says he would like a general election (which, of course, he thinks he would win) after the expected defeat of the May proposals in the Commons. But there is no guarantee that a Commons defeat would lead to an election. However, if it did, what choices would the British people face? Both main parties are aware that they are dealing with a pretty stupid electorate which voted for Brexit, and even now, many of them would like to "just get on with it". Much of this obtuse attitude is based on xenophobia and a belief that if they can keep foreigners out, there will be jobs for all. So politicians tread warily and would be unlikely right now to advocate an election campaign based on the simple question of Brexit or Remain. If fact, they would probably be too scared to even put the notion of another referendum into their manifestos. Mrs May would seem to be honour-bound to campaign on the basis of her own deal. 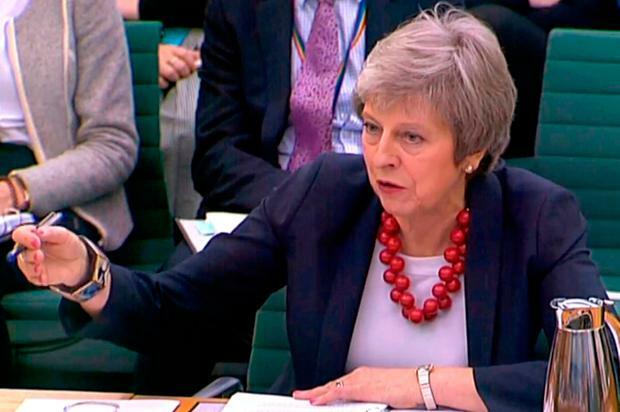 In the unlikely event she stood down and was replaced by a hardline Brexiteer such as Boris Johnson or Michael Gove, they might try to persuade the electorate they could either get a better deal from Brussels; seek to implement the Norway Plus option which would involve accepting the May deal while also remaining in the European Economic Area and the customs union; or, in extremis, that they could tolerate a no-deal outcome. The rest of the prime ministers of the EU have said there will be no better deal, and given that the concessions they have already given to Britain appear to have been grudging, one is inclined to believe them. So saying you could get a better deal would not appear to be a winner. And it is not an approach Labour is likely to take. Nor would it make much sense for Jeremy Corbyn to adopt the May proposal he now opposes. That would simply put him in the unenviable position Mrs May now occupies. At present, his only position is that he would like an election and he is not keen on a no-deal Brexit. But if he gets his election, he will have to take the next step. To advocate a no-deal Brexit in your manifesto would be madness for either party. According to the Bank of England governor, Mark Carney, economic growth would fall by 8pc and sterling would lose a quarter of its value, a slump not seen since World War II. Philip Hammond, Mrs May's chancellor, says there will be a slump, though not as severe, even under the deal the prime minister has negotiated. So the options narrow for Labour until it is faced with the inevitable conclusion that it will have to allow the British people another chance to decide their future. This is certainly discernible from the most recent utterances of Labour's John McDonnell, who says another referendum is inevitable if there is no election. Such an approach can easily be justified on the grounds of the vast amount of information now available that was not known to the electorate at the time of the last referendum. And while the moronic element will still follow the disingenuous hard Brexiteers, there seems a better than even chance that British public opinion has shifted sufficiently to reverse that verdict of two-and-a-half years ago - if they are given the opportunity. But there's many a slip...and right now there is little anyone outside the British establishment can do in the short term, and outside the British electorate in the longer term. What would possibly help would be if certain European leaders could curb their enthusiasm for the moment for political and fiscal integration and even for the idea of a European army. This kind of stuff is causing paranoia among the more skittish elements of the British public, and is unnecessary. The low-key approach of the Taoiseach, Leo Varadkar, in which he restricts himself to repeating the EU mantra that the only deal is the deal negotiated, and the only alternative is "no-deal and a cliff-edge Brexit", is one our partners in Europe would do well to follow.